Simulated Emerald and CZ Avenue Solitaire Ring Only $9.99! Ships FREE! You are here: Home / Great Deals / Amazon Deals / Simulated Emerald and CZ Avenue Solitaire Ring Only $9.99! Ships FREE! Beautiful holiday bling! 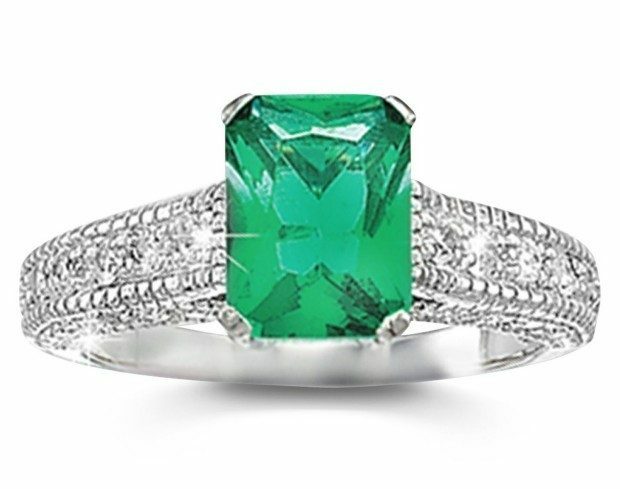 Head over to Amazon and order this Simulated Emerald and CZ Avenue Solitaire Ring Only $9.99! Shipping is FREE! This is a lovely statement piece for you or a loved one!